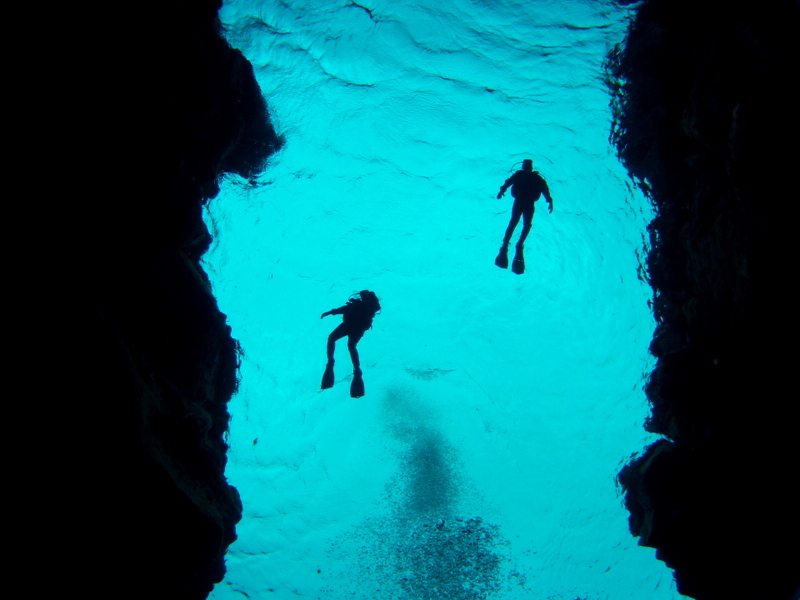 Scuba Diving in Iceland: Clean and Clear, Bluer than Blue. Iceland is probably the only place on earth where you can dive in between the European and American continental plates. 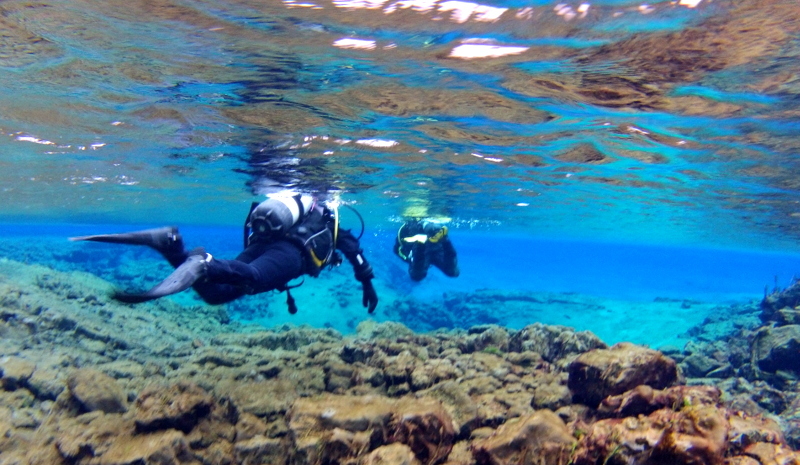 Lake Silfra, where we scuba dived, has the cleanest and clearest waters you can ever dive in. The water in Lake Silfra is made up of drops of water that have been filtered thoroughly from glaciers. So the water is extra extra clean. 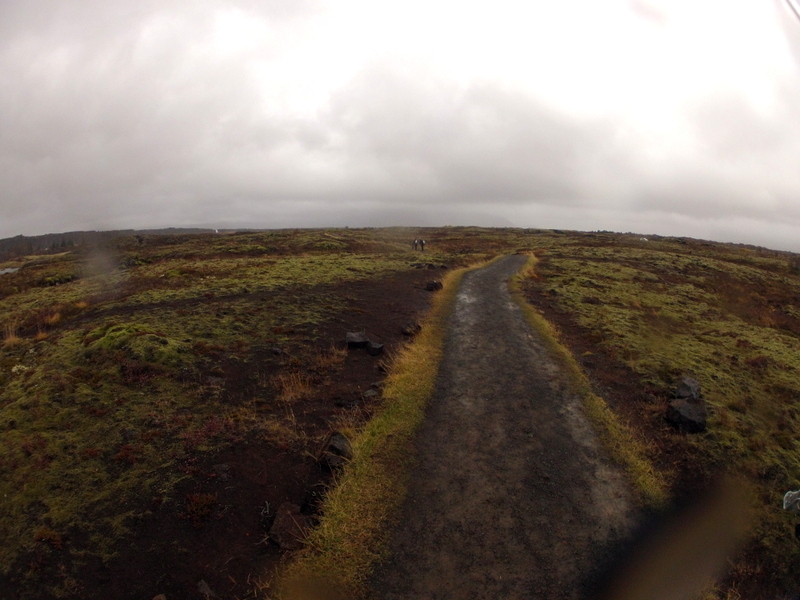 And it is Iceland! How often am I going to be back there? So might as well do it! In fact this is one of the first things I had on my list of things to do in Iceland. I have never scuba dived in cold waters before, so while I was abit apprehensive, I was more than excited for the experience. 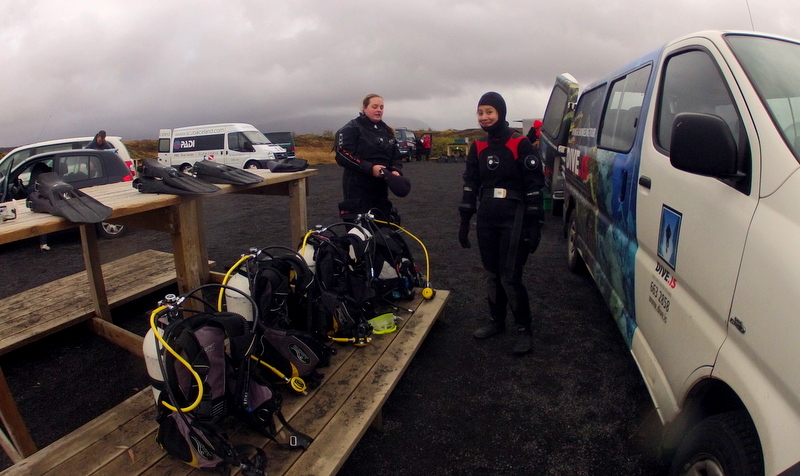 We went with Padi.Is (Padi Dive Center Iceland). 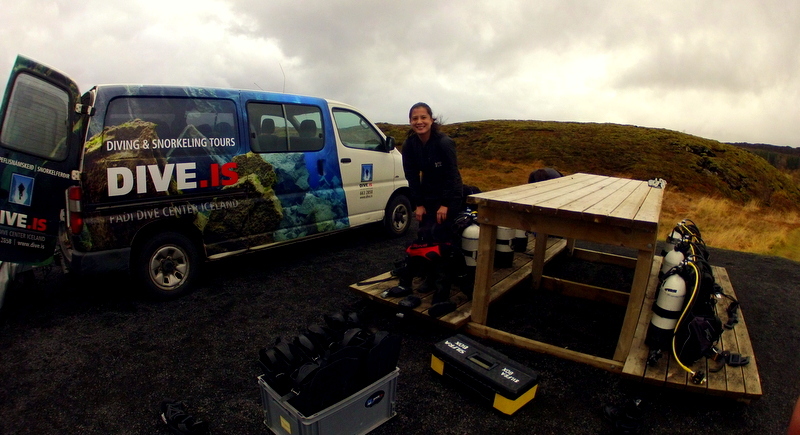 Our dive instructor and divemaster, Siobhan and Ted, picked us up from our hotel right on time, and we drove about an hour to Þingvellir National Park , where Lake Silfra, our dive site is. Now diving in Iceland in October is not for the faint-hearted. The water temperature is 2 degrees celcius. Not to mention that outside temperature was probably 1-5 degrees celcius as well. You will require a dry-suit. Not all of us in the group have scuba dived in dry-suits before, so we were given a very thorough briefing by Siobhan. Putting on the dry suit probably took up 40% of our time. That’s just how it is, my friends .There are layers and layers underneath an extremely tight, waterproof suit. We changed right in the parking lot. No need to be modest as you do need to wear your thermals underneath. And if you are thinking, “couldn’t they change in a private restroom at least?”, well I’ll tell you what: I’m glad we changed in the open space. For someone who’s never squeezed into a dry suit before, I needed all the help I could get. It wasn’t the easiest of tasks, I tell you. If you can imagine putting on a tight body suit that is 5x smaller than your body, that is the feeling. But I didn’t mind it because I knew that all this ensured that no water was going to enter inside! 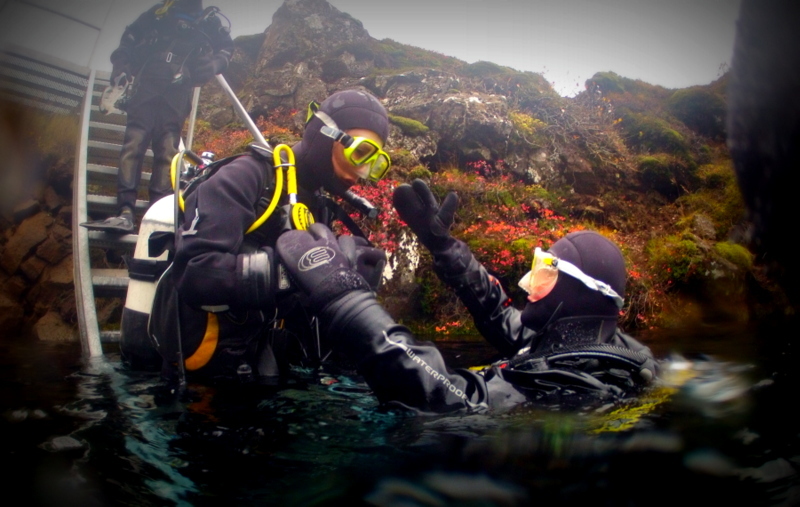 Diving in Iceland: Make sure you are tight and dry! Siobhan and Ted were very intuitive and proactive in offering assistance to those who needed it. They never made me or Zombie feel that what we asked assistance for was annoying or that it caused too much trouble for them. 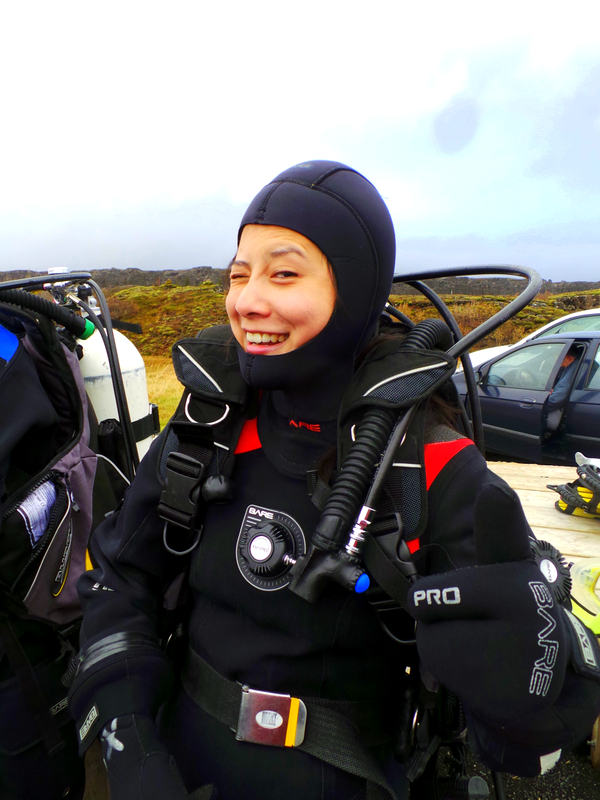 Dry-suit diving, (or diving in extremely cold temperatures at that) can be very daunting for beginners. And I am really thankful that Siobhan and Ted were very reassuring and accommodating. From the beginning, I knew I was in good hands and this helped me relax. From here on, we strapped on our BC’s and tanks, and walked about 3-5 minutes to the lake. 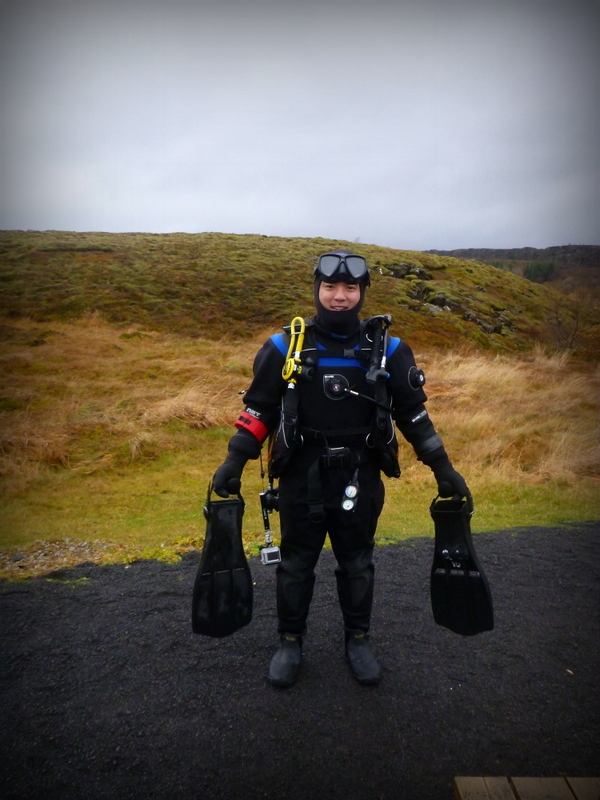 Diving in Iceland: The full gear head to toe. This is how you’d look like with the complete gear head to toe. Carrying our fins, tank, mask, and BC, we made the slow march to the lake entrance. The walk does require a lot of strength. It was, cold, rainy, and with the added 15-20 kilos weight on your back and body, it does make for an interesting walk. By the time we got to the lake, it was such a comfort to just submerge entirely in the water. Diving in Lake Silfra Iceland: Unbelievable Visibility! Well folks, I’m so pleased to say that the legend is more than true: Lake Silfra probably has the cleanest and clearest waters in this planet. Just the visibility itself was beyond unbelievable! I know you can see how clear it is, but how clean? Well let’s just say that I took SO many gulps of water because they were just so refreshing! It was sweet and clear. Like swimming in chilled Evian. And no I did not have any stomach problems. The shades of blues and greens- breath taking. I was having a Holy Smithereens moment the entire time I was underwater! Here’s a short clip of our time underwater. Please playback in HD so you can see how absolutely clear it was! One thing was prevalent in my mind while underneath the water: I cannot believe I am wading in between Europe and America! 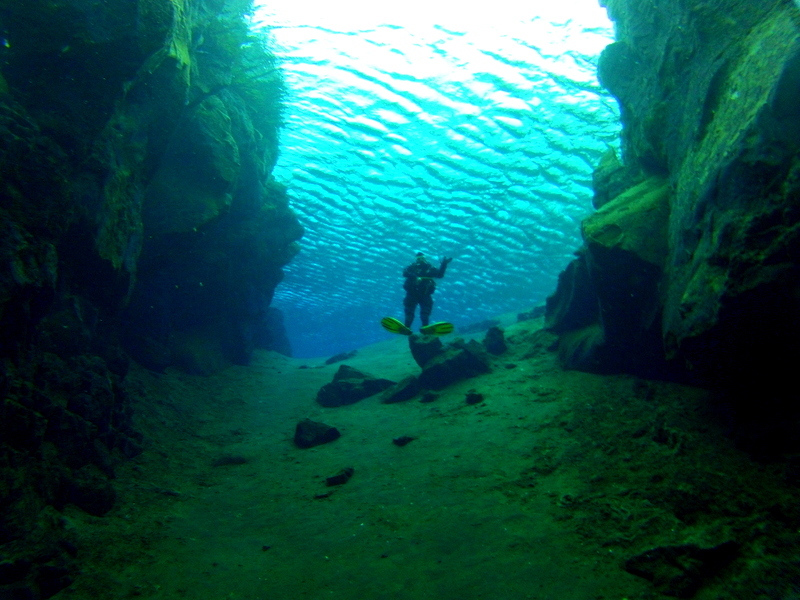 Its plain to see that we had such a great time scuba diving in Lake Silfra. But what made it more enjoyable are our dive instructor and dive master, Siobhan and Ted. Normally Zombie would be able to swim and reach but wearing the dry-suit makes you so buoyant. Ted immediately put on his gear back without any complaints and handed us the camera back. Hence you are now able to see the footage in this blog. Thank you so much Ted!!! And Siobhan, as I mentioned very proactive and intuitive from the start. She led our group of 3 in the dive (we were split into 2 groups), and she is conscious of everyone’s different diving skills and always made you feel safe. Another instance when both of them impressed us: Earlier in the morning while we were on the way to the National Park, they were thoroughly checking everyone’s dive cards and license. One of the guys in the group didn’t have the physical license with him (but was certified). First, I was impressed that Siobhan firmly advised that they cannot allow anyone to dive without sighting the card. Then they offered a solution: Perhaps someone in their office can log into the diver’s email and check the certification. The diver didn’t feel comfortable with this and no one in the van had smart phones, or smart phones that Had 3 or 4G connection. So Ted and Siobhan looked for a place that could possibly have Wi-Fi, (we drove to a nearby hotel), and VIOLA! all solved. I liked that they were firm with their rules, and that they also didn’t give up on a road block. Both are very passionate about diving and have immense love for Iceland. I had a fantastic time with Dive.Is and will recommend them, and diving in Iceland as a whole, to anyone visiting the country! Dive.Is offered us a discounted tour of their Lake Silfra Dive, but this has not affected my views and opinions in any way about the tour, and the service. Awesome video and images that shares the experience about diving in the sea. That all looks and sounds amazing! I got my divers license last summer in cape town and have not had a chance to dive since then. Even if the water there was cold, I never tried a dry suite. Next month I am going to Iceland for 24 days. I was pretty sure that there is no way for me to dive in Iceland as a lot of people told me that experience is required. Now that you wrote about a mixed group of divers of different experience and even some which never used a dry suite, I start to dream again..Do you think it is possible to join a dive trip there even though I am far away from diving routine? Hi Greta, June will be much warmer than October (when we went there) but I think a dry suit may still be necessary. They may have an option for a thick wet suit, better ask. Open water license is an absolute necessity to dive in Iceland so you’ll be fine since you got your license last summer. You don’t need to have had experience with dry suit diving before — that was my first time to put on a dry suit. As long as you have a valid open water (or advanced) license.